The early days in a group that has been randomly thrown together are always interesting. First impressions are made, and sometimes soon corrected. 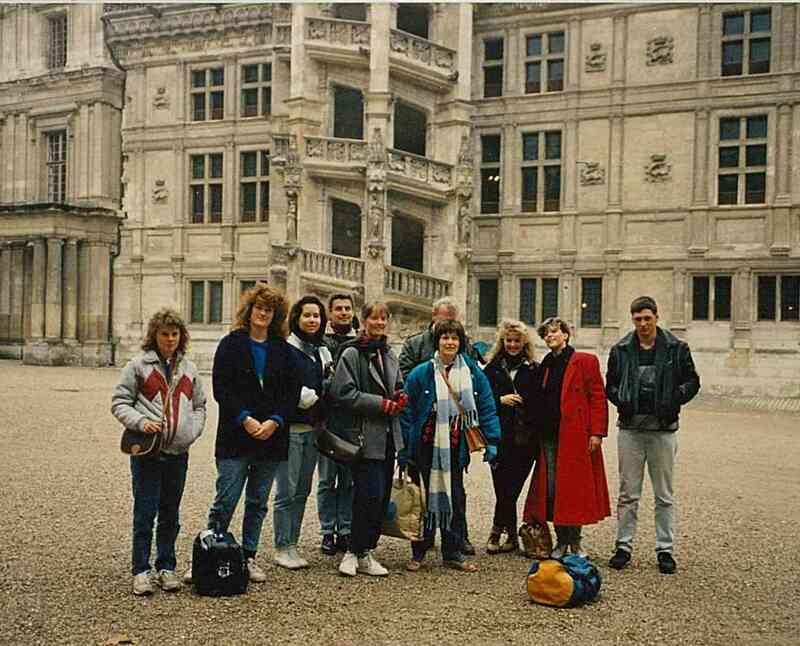 But this is most of our team of twelve travellers, in the interior courtyard of the Chateau de Blois, with the 16th century spiral staircase behind us. Of the two missing, one is behind the camera, and the other has missed the train from Paris. Apparently a big night out in Paris somehow has ended up in Amsterdam. We’re here to increase our appreciation for all things French – she’s unfortunately started her lessons with the wrong nationality. She’ll catch up eventually. Our leader is my French lecturer from my first year at University, and our relationship is a bit rocky. A native of Bordeaux, he’s never seen my correction of his French during class as positive feedback, and it’s been downhill ever since. But hopefully that’s all been put aside, and to say that I’m glad to be here is an understatement. Being surrounded by french history, language and culture for the first time is a wonderful feeling. We’re on our way to Bordeaux after a few days in Paris and Versailles seeing as many of the famous sites as we can fit into two days. I should be feeling a bit weary after no sleep on the flight from Auckland, but I’m too wound up in my new surroundings. If I have jet-lag, it’s way down in my priorities. We’re in France for just over a month, enjoying Christmas and New Years with a host family, returning before University enrollment for the next year begins in February. Bordeaux is blessed with a rich history, with buildings dating back to the Romans, and possessing 362 French National Heritage sites – only Paris has more. 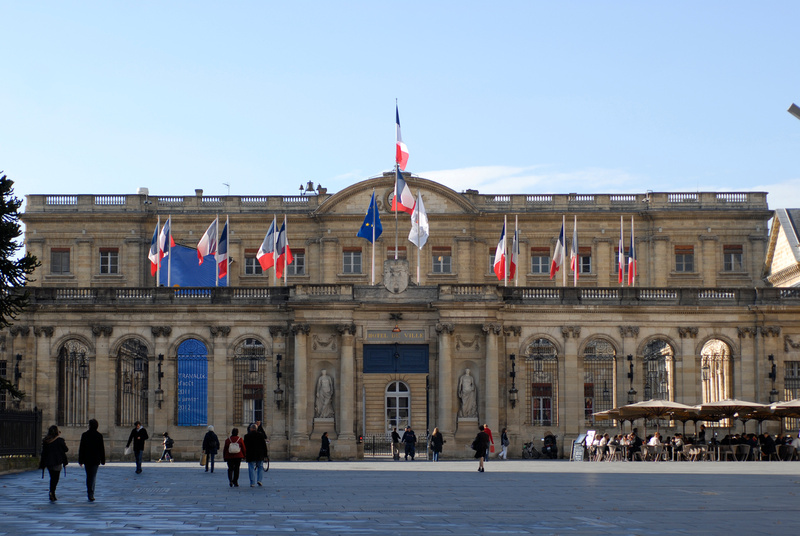 Most weekdays in Bordeaux have group activities planned with visits to the major monuments. We’re given tours of the Grand Theatre, and various museums. Also included are attendances at several lectures and possibly surprisingly, a performance of Peter and the Wolf. A popular excursion from Bordeaux is the Great Dune of Pyla, 60km to the South-West. 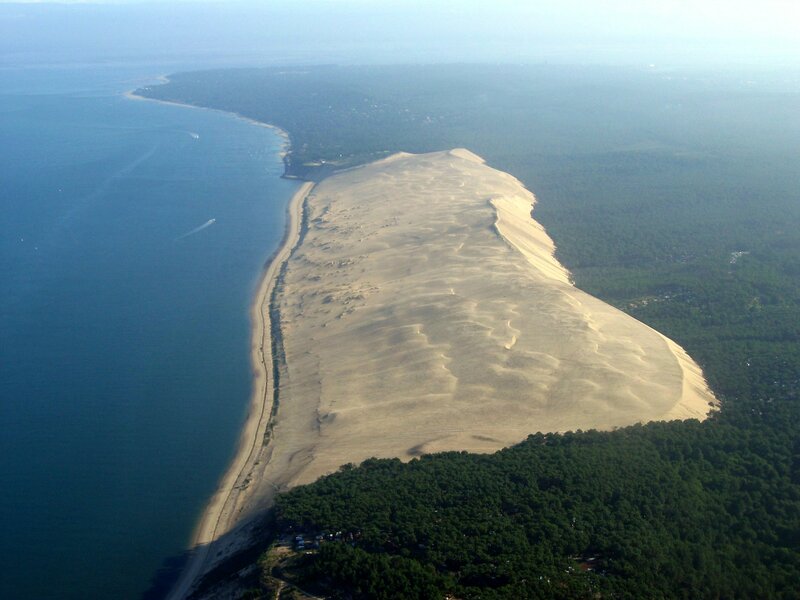 Pyla is the tallest sand dune in Europe, and receives more than one million visitors each year. The group is scheduled to visit in a couple of days, and I pay my money to reserve my seat. Before then Jean-Louis, one of my french brothers, has a meeting in La Rochelle, and I’m hitching a ride to take a look around while he’s doing his business. I’ve mentioned this to Jen and Steph, two of the team whom I knew before the trip started, and they’re coming along too. 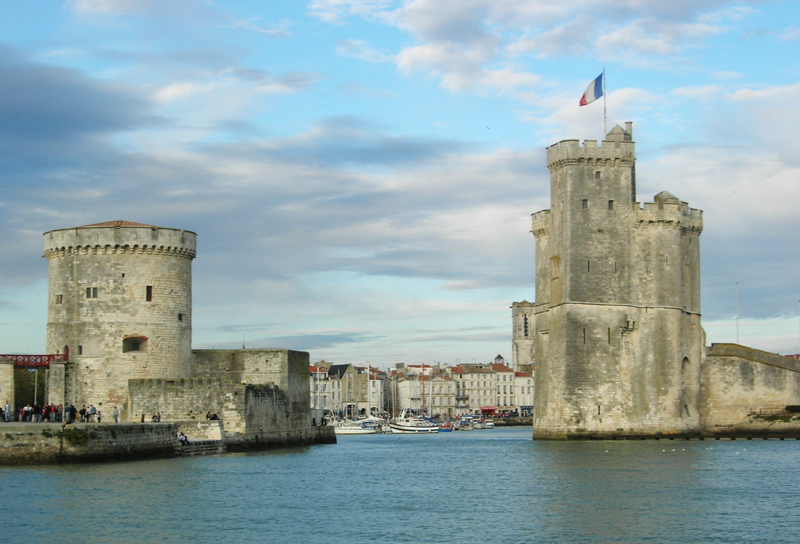 It’s another beautiful city with three 14th and 15th century towers dominating the Old Port. This was the departure point 400 years ago for the first settlers of Quebec. La Rochelle wasn’t in the plans for our itinerary, so it’s an unexpected but enjoyable day. We rejoin the group the next day on the steps of the Grand Theatre with expectations of a day at Pyla. Tickets are handed out and Steph finds that she’s unexpectedly been excluded. She hasn’t had a chance to pay in cash, but has apparently been told that she can pay on the day. The day has arrived, and that option is no longer available. Pierre’s manner is fairly smug, and he seems strangely chuffed that Steph is going to miss out. It seems like a misunderstanding that should be easily resolved, but Pierre isn’t budging. Steph is reduced to tears, more by Pierre’s rudeness than missing on a big dune, and walks off. She’s quickly joined in protest by Jen, and the rest of us are a bit stunned. I find that I’m next on the chopping block, because I’m supposed to have phoned with confirmation, even though I’ve already paid. Another argument ensues, and I realise that if Pierre isn’t going to be fair to Steph, I have no chance. I’m better off catching up with them, so I give up, and ask for a refund. Pierre has to dig through every pocket for loose coins and his difficulty in finding my money in front of the rest of the group makes it all worthwhile. I join Steph and Jen, who are powerwalking to nowhere in particular and explain that I’ve also been blacklisted from Pyla. We discount trying to get to Pyla independently and I suggest we head to the train station and see if other destinations are available. 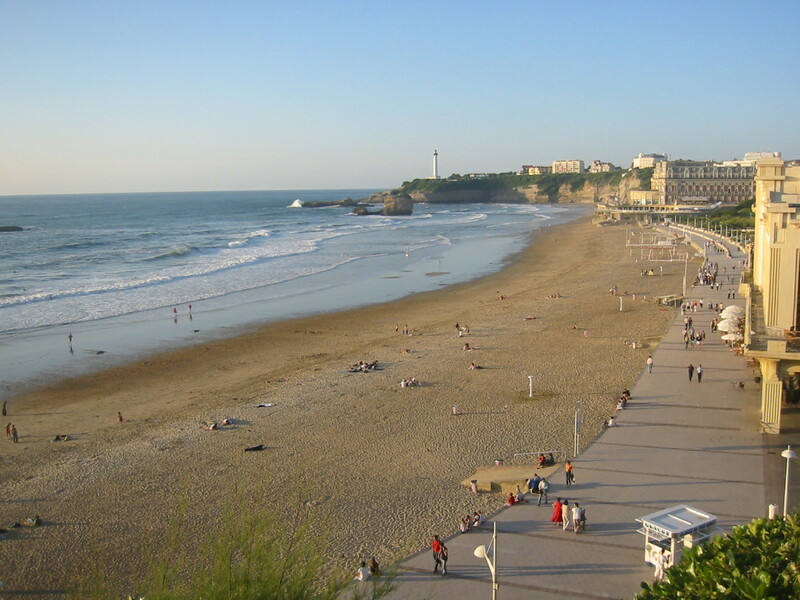 We decide on a day in Biarritz, just over two hours by train south of Bordeaux, close to the border with Spain. Once more we have an unexpected but very rewarding day, seeing another city that wasn’t on the list, and enjoying our new status as outcasts. I receive a call the next day from Pierre apologising for the misunderstanding and carefully putting the blame on one of his colleagues. I expect nothing less. 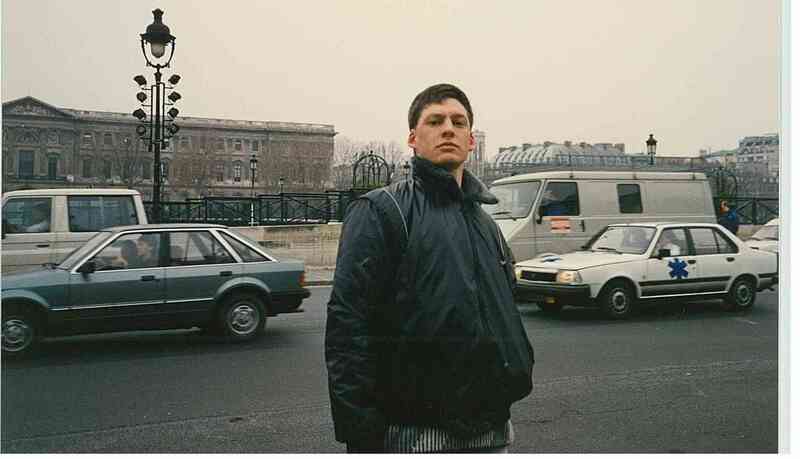 My french family was already familiar with Pierre and their impression hasn’t been changed by my experiences. They offer to take me to Pyla later in the month. We’re welcomed back to the team on the Monday for a visit to a college specializing in Hotel Management. Our driver is given an incorrect address and we spend a good part of the day trying to find the place while wondering why we’ve been sent there. Over lunch we hear that our banishment from the Pyla excursion made for an uncomfortable and very quiet day on the dune. A few days later we are invited to a reception at the Town Hall in Bordeaux, one of the many beautiful historic buildings in Bordeaux. It’s a formal occasion so for the first time on trip I need to find the tie and jacket. We’re photographed, and this is later included in the local papers. While we’re waiting, I notice Bernadette, who is married to one of my new french brothers, also at the Town Hall with her pupils. I don’t mention to my group that I already know Bernadette, so they’re wondering what I’m doing casually wandering up to the young blonde teacher. They’re briefly impressed as I’m greeted with a big smile, but the truth soon comes out. The previous year I had met an elderly French couple who had invited me to stay with them if I was ever in Nice. I wasn’t expecting to ever take up their kind offer, but given the squabbles with Pierre, this seems like perfect timing. They’re very pleased to hear from me and a few days later I find myself on a train with the French Riviera flashing past my window. The names on the trip are all familiar as I pass through Nimes, Arles, Marseilles, then Toulon to Cannes, Antibes and finally Nice. I only have two days on the coast but make the most of it. 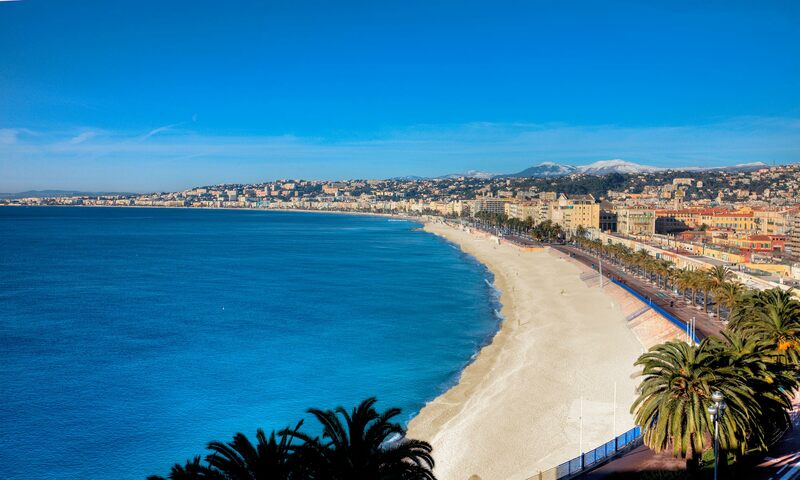 The first day is an exploration of points east of Nice, such as Monaco and Menton, as well as a brief visit across the border to Ventimiglia in Italy. The next day I venture west to Antibes, Cannes and St Raphael. It’s all a bit of a blur, as I try to see too much in too little time, but I love every minute of it. I arrive back in Bordeaux just before Christmas, and I enjoy the festivities of a traditional French Christmas with the extended version of my host family. On Boxing Day we leave for a week of skiing in the Pyrenees, meaning that I won’t have seen the New Zealand group for over two weeks. Never mind; if I came here for appreciation and education, that’s definitely still happening, just not with my group, wherever they may be. In fact I don’t see my colleagues again until the train back to Paris. I’ve almost missed the train due to delays leaving home in Bordeaux. Fortunately speed limits don’t apply to them and we make it just in time. There’s no chance for extended goodbyes, but everything has been said before leaving the house. I have no time to find any wandering New Zealanders or check carriage numbers; I just need to jump on and bash my ridiculously overweight baggage down the narrow aisle between seats, smashing the shins and knees of passengers as I go. Inside the warm train I’m still dressed for January in Bordeaux, so I’m now overheating and rapidly running out of puff as I batter my way up the train. I finally find the group and I can tell from their expressions that I look like a wreck, which is exactly how I feel. I fall into a seat, lose a few layers, and watch Bordeaux slip away. We have a couple of days left in Paris – enough time for another niggle from Pierre about my choice of meal in the restaurant on the last night. Stupid little man. Life’s too short – and ironically, so is Pierre. The final day dawns, and I have an early morning departure, along with two of the girls who are also going home with a few days’ stopover in Singapore. It’s still dark as we leave the hotel, and it feels like we’re making a covert escape. Pierre is there to see us off, and I hear him say “I won’t miss you”. I smile and have to agree. I find out from the girls that he actually said “I won’t kiss you”, but my reply would have been the same. And with one final and less rushed call to my family in Bordeaux from Orly Airport to thank them for their incredible hospitality, that is that. It’s been an amazing five weeks, thanks mainly to the wonderful sense of fun I’ve been living with for the last month. France is a fantastic place and a return is already being planned. Merci et à bientôt….. This entry was posted in Travel and tagged Biarritz, Blois, bordeaux, Cannes, Cote d'Azur, La Rochelle, Monaco, Nice, paris, pyrenees, Riviera, travel. Bookmark the permalink. I think you pulled it off quite well! Amazing photos and a great story! Thanks! In my other “arrogant frenchman” photos, I was going for a Napoleonic thing, and got my head angle all wrong. They ended up being great shots of my arrogantly french nostrils. You should see my ‘attempting to pose like a Russian’ photos! You may have to give some directions! Attempting to pose like a Chinese just needs a peace sign. Too funny. Sometimes the best adventures are the ones we find on our own. A great reminder of my semester in France! Thanks. It’s always good to have a plan, but even better to leave the plan! Not a bad place to have a semester. That Great Dune of Pyla is massive, and Nice looks wonderful! Interesting read and lovely photos! I’ve always wanted to go to Bordeaux, maybe next time…we were in Alsace this past winter and enjoyed the wine from that region very much. Did you get a chance to try any wine in Bordeaux? I’ve never been to Alsace, but I hope there will be more trips to France. My list gets longer with every blog I read. And yes, I did sample some wine in Bordeaux. Quite a bit as I recall! You could get wine cheaper than Coke or bottled water, and it was fine. Great photos and looks like it was a wonderful trip! Thanks. It was only for a month but changed my outlook permanently. Fantastic story and beautifully written, a pleasure to read. I really need to get out to Bordeaux, the Great Dune of Pyla looks incredible. Hard to believe it’s in France at all! Lovely photos too. Thanks for the follow, much appreciated. Hi Edey – thanks for that. I’m glad it gave you a laugh 🙂 It was a lot of fun revisiting the travel diary. Hard to believe those were the 80’s though. Years go by too quickly! The years certainly do fly by :).